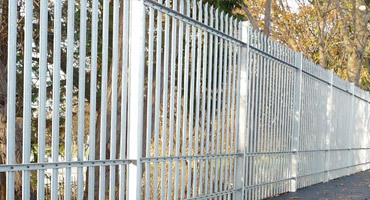 Our Utility steel palisade specification is predominantly used on UK Power Network sites and sub-stations. The 3mm thick pales, welded link plates and tighter pale spacing (18 No. 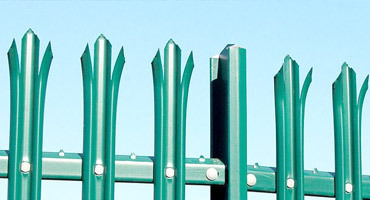 per Bay) is all designed to help withstand attack through or over the fence. 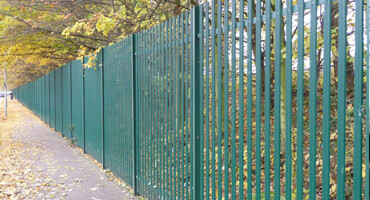 A concrete plinth can be constructed under the fencing to prevent undermining. 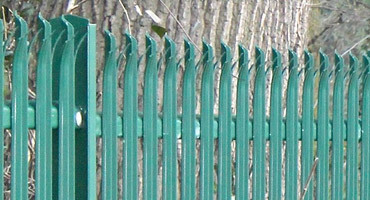 There is also the option to extend the fence height by using cranked fence extensions and adding Concertina Razor Wire. Normal finish is galvanised but finish can also be powder coated in a variety of colours to assist with blending in with particular environments or to match your branding. 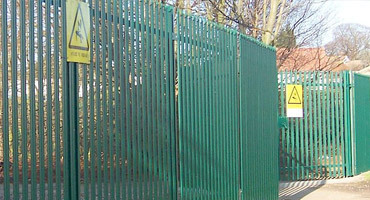 Gates can be manufactured to match the fencing and can be sliding or swing and can be fabricated to suit any height or width.